In Summer . 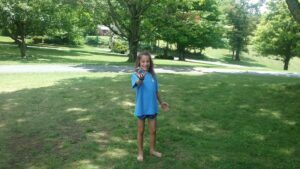 . . . .
Summer is a great time to be a kid. Taken a trip with a local youth group to, among other things, go white-water rafting. 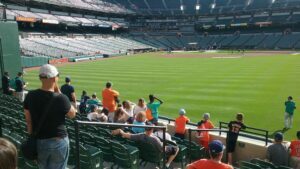 Gone on a trip to PA and MD where we visited one of our supporting churches and, among other things, attended an Oriole’s baseball game! Been on day trips, gone hiking, done some shopping, been to the movies, played at the park and had ice cream! 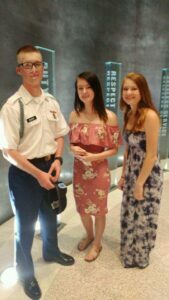 One of our resident’s was able to travel with staff to attend her brother’s (who is also a resident) military graduation. Currently, our younger residents are at overnight camp. 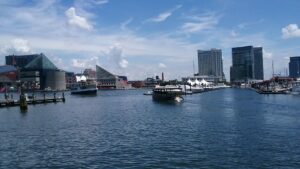 A trip to MD for some of our resident’s for another church visit and some cultural experiences like the Baltimore Museum of Art! Visiting, helping and hanging out with volunteer groups who come to work with us here at Joy Ranch doing work around our homes and campus. Like I said, summer is a great time to be a kid! So, let me expand on some of the things listed above. First, the beach. 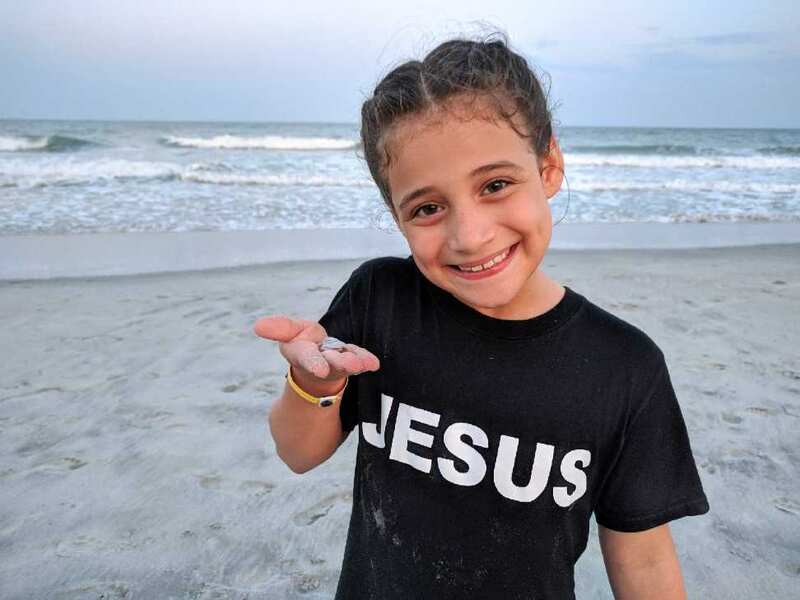 We are able to go to the beach due to the fantastic and astounding ministry of Garden City Chapel located in Garden City, SC – just seven miles from Myrtle Beach. This ministry hosts children’s homes one week each summer, providing a free place to stay as well as tickets to local attractions and free ice cream and soda for the kids daily. 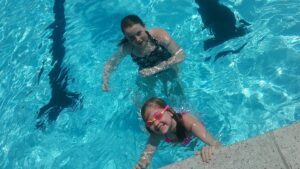 This year we visited Wonderworks, The Carolina Opry and a water park. We played mini-golf, went fishing off the pier, got free t-shirts and generally had a lot of fun, as we always do. Our only expense is providing meals. 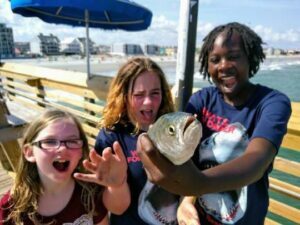 Our kids look forward to this trip every year and for some, it is their first time seeing the ocean. It is moments like those, when their faces light up at something so many take for granted, that remind us why we do what we do. The day camp our children attended, and some are currently at for overnight camp, is Mt. View Bible Camp, also begun by the founders of Joy Ranch: Richard and Mary McHenry. It was at this camp that the “seeds” for a children’s home were first planted in their hearts by a young orphan boy who had nowhere to go, and so came to spend time with them, at camp. Our children will also attend Camp Dickenson and The Wild’s. Bannertown Baptist Church of Mt. Airy, NC hosted our older resident’s on their trip. 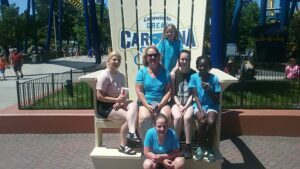 They went to Carowinds, did some white-water rafting, shopping and got to stay in a four story cabin, complete with it’s own movie theater and elevator. Check out the pictures below for more on our summer excitement! 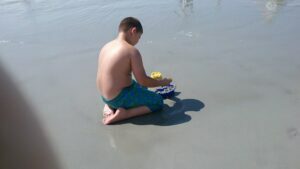 Some of our staff residents and staff kids on the beach; fishing off the pier and playing in the sand. 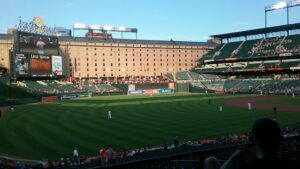 Baltimore Harbor; Camden Yards, and batting practice. One of our girls got a ball! What an awesome Summer of fun, travels, ice cream, shopping AND BUBBLES. Just like a Summer should be.